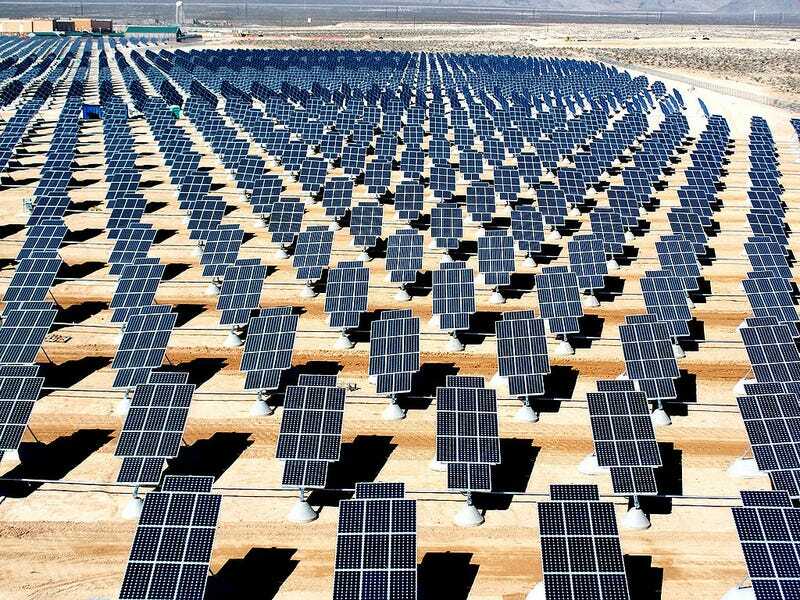 Has America Been Installing Its Solar Panels Sideways For Years? There's a structure to installing solar panels. The size, the shape, and the configuration are all pretty rigidly prescribed. There's also a direction they face: South. The trouble? They might actually be facing the wrong way. The rationale behind rooftop southern-facing panels seems solid. By having them face south — which almost all the rooftop panels in the U.S. do — they're in peak position to catch a face full of sun at both rise and set, thereby scooping up the most total watts per day. "We incentivize maximum power generation," said James Tong, the vice president for strategy and government affairs at Clean Power Finance, an investment firm. But in most parts of the country, there is plenty of electricity available from other sources in the morning and midday. Crunch time is late afternoon, when temperatures are higher and air-conditioners are working hard, and inefficient plants running on natural gas or even coal are cranked up to the maximum. That is obvious from the wholesale power market, where prices reach a peak in the late afternoon. But at that point, the declining sun is hitting the panels at an oblique angle, reducing power output. "The needs of the grid may mean that they should be pointed west," more toward the setting sun, said Mr. Tong. That way, a bigger portion of their production would come at the hours when electricity was most needed. But their total production would be a bit lower, and that would hurt panel owners, at least under current rules. You can read the whole thing right here.